80JJAA was introduced with the sole object of encouraging employers to widen the pool of job opportunities by giving deduction in respect of additional employee cost incurred in the course of such business in the previous year, for three assessment years including the assessment year relevant to the previous year in which such employment is provided. This section was recently amended by the Finance Act, 2016, thereby widening the scope of Sec 80JJAA. However, even before this amendment and after there are various case precedents identifying processes like data processing, software production and bringing it within the definition of “Manufacture”. 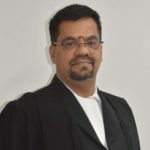 The Madras HC addressed the issue if the assessee is an industrial company engaged in production or article or things, in spite of specific prohibition under section 32A(1)(a) against deduction in respect of plant and machinery installed in office premises. 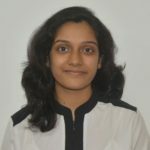 The assessee is engaged in the business of processing data with computers and the preparation of balance sheets and financial accounts, etc. for its customers.Investment allowance was claimed by the assessee for the computers installed for the purpose of its business. That claim was disallowed by the Income Tax Officer on the ground that a computer is only a processor and no manufacture or production of article or thing is involved when that process is, performed by the computers. The word ”production” in section 32A(ii) therefore, comprehends processing activity and the word “article” in that provision includes movables. The data processing computers involves processing and therefore, capable of being regarded as part of process of production. The balance sheet, sales analysis, statements, etc. obtained as a result of processing are movables and are different from the data that was initially fed into the computer though based upon the data so fed in. The use to which end-product is put is different from the one to which raw data is put at the time it is fed into a computer. The end-product obtained as a result of data processing such as balance sheets etc are therefore, capable of being regarded as new articles. A dispute arose when the Company being engaged in the business of software,made a claim of deduction u/s 80JJAA. This deduction being available to industrial undertakingsemploying new workmen. The authorities objected saying itsemployees cannot be called as workmen. The term is primarily meant to indicate bluecollared workers employed in manufacturing industries. DR argued that sec. 80JJAA of the Act specifically providesfor industrial undertaking engaged in the manufacture or production of article or thing. Thewords ‘computer software’ are missing in the section. If the intention of the legislature is toextend the benefit to the companies engaged in the business of software, the legislatureshould have specifically mentioned and included the word ‘computer software’also. Sincethe legislature does not want the benefit to be extended to the computer software business, it was excluded from sec. 80JJAA. Since the industrial undertaking is not defined in sec. 80JJAA of the Act, help was taken from Explanation 1 of Sec. 10(15) of the Act. In the said section, the expression‘industrial undertaking’ includes the manufacture of computer software or recording ofprogramme on any disc, tape, perforated media or other information device. The order says when the assessee iscreating new employment opportunities, the beneficial provisions should not be summarilyrejected. Though the assessee is engaged in manufacture of computer software Firstly it iscovered by Explanation 1 of sec. 10(15) of the Act within the meaning of ‘industrialundertaking’ and it is supported by Hon’ble Madras High court judgment in the case of 246ITR 722. Secondly the employees working in the companies engaged in the computersoftware are also covered as ‘workmen’ within the meaning of Industrial Dispute act as perthe decisions of coordinate benches of Bangalore and Delhi cited supra. The Government ofTamilnadu vide letter dated 30/05/2016 clarified that the IT industry is not exempted from theprovisions of Industrial Disputes Ac 1947. The assessing officer’s case is not that theassessee is not satisfying the eligibility conditions for deduction u/s 80JJAA. The learned DRdid not place any material controverting the above decisions. Therefore, we hold thatassessee is entitled for the deduction u/s 80JJAA and accordingly, we set aside the ordersof the lower authorities and allow deduction u/s 80JJAA. Why does CBDT put pressure on courts to interpret what is manufacturing for the purpose of 80JJAA or 80IA/B/C? Is it not right on the part of the government either to define manufacturing for the purpose of the relevant sections or instructing the authorities to adopt the definition of “Manufacturing” as defined under Central Excise Act. If the CBDT intends to give benefit to the wider spectrum of tax payers by including even the process as manufacturing, then defining under the Act for the purpose of all the sections is imperative at this point to avoid unnecessary litigation. Instead, CBDT allows courts to hold what is manufacturing by pronouncing judgements against and favouring the tax payer, which only increases uncertainty and litigation. In a nutshell, in the absence of definitions, the Act should provide or the CBDT should instruct the authorities to borrow the definition in the other Central Acts for the purpose of decision making. Next Next post: Is Sec 270A efficient to replace Sec 271(1)(c)?